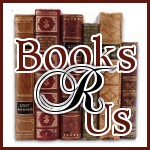 I would like to welcome Lis Wiehl to Books R Us. Liz is the author the Eyes of Justice (A Triple Threat Novel) . Thanks for stopping by. 1. Can you tell me who or what was the inspiration for the book? The Triple Threat books were inspired by some of my own experience in various worlds: as a formal federal prosecutor, a TV journalist, and as the daughter of an FBI agent. They’re the kinds of stories I love to read myself! One of the wonderful things about fiction is that you can meld the real with the made up to tell a compelling story. With Eyes of Justice, I wanted to tell a story about friendship, loss, and renewal. I ask the readers to take a walk with these three women, all strong yet absolutely fallible. In our lives we will be faced with extreme adversity…it is how we handle that adversity that defines us. 2. Do you ever suffer from writer’s block? If so, what do you do about it? No, there’s no time for it! : I’m pretty disciplined. So much of successfully writing is just scheduling the time for it and being true to the calendar. Can’t wait for some elusive muse to visit; just have to get to it and trust the process. 3. Can you tell me your experiences in finding a publisher for the book? My agent paired me up with Thomas Nelson, knowing they’d be a strong fit for the kinds of stories I was looking to write. We’re a terrific team. 4. How long did it take you to write the book and how long did it take to get the book released? Each novel takes about a year start to finish to write and edit and is released by the publisher about a year after turning in the initial manuscript. 5. Who is your favorite character in the book and why? That’s like picking a favorite child, right? All of the Triple Threat ladies reflect a little of me, and their friendship is what makes the stories such a fun experience to create. This latest installment deals a blow to the core group, but there’s justice in the end and there’s always the door is open for another Triple Threat story. 6. What are your current / future projects? Darkness Rising, the second in the East Salem Trilogy, is coming this fall, set in Westchester County, NY. I can’t wait for readers to hear more of Dani and Tommy’s story. And A Matter of Trust, the first in the brand new Mia Quinn Series will debut next spring. Mia’s character is a lot like the Triple Threat ladies, but she’s even more complex. 7. Do you have any tips for a young writer just starting out? My college writing teacher told me to “write a page a day”, and I did. And I’ve kept that up, sometimes many more than a page a day. Again, it’s about trusting the process and remaining disciplined. 8. If your book was to be made into a movie, Who would you like the main character to be played by and why? Great question! I’ll defer though: the Triple Threat series has been optioned for TV, so I’m refraining from casting it in my mind yet. So exciting. 9. What do you like to do for fun when you’re not writing? Where do you like to vacation? Can you tell us briefly about this? Family’s always first: I’m a proud soccer mom. I also do quite a bit of speaking for various community events. 10. Can you tell me where we can purchase your book? All major retailers carry the series. You can check out more at www.liswiehlbooks.com and connect with me on Facebook and Twitter. Cassidy, Allison, and Nicole fight for justice every day-Cassidy as a crime reporter, Nicole with the FBI, and Allison as a federal prosecutor. Together they're a Triple Threat to be reckoned with. But never have they faced a case so full of blind alleys-or so painfully close to home. When a devastating turn of events upsets the balance of the Triple Threat team, they discover an ally in a quirky Private Investigator named Olivia. The women vow not to stop until the case is solved and justice is served. Yet just when it appears the police have the killer in custody, he somehow strikes again. Not knowing who to trust, the Triple Threat women go undercover for an intricate and deadly cat-and-mouse game where nothing can be taken at face value . . . and nothing will ever be the same.